This is our prototype for the new salmon deheader – can you help us to make this bulky working model become an appealing Marel machine – in line with our other fish processing machines? And please take care of practicalities like cleaning requirements, ergonomy for the operator, efficient work flow and safety as you make the look come just right. Our design teams are used to challenging briefs and also in this case, we knew that we could make a difference. In a close collaboration with the Marel product- & engineering team we reached the ambitious goals for the design process. We started the journey with a co-creation workshop with the Marel team – focusing on the product architecture and defining which zones of the product require access by whom, when and why. Based on this extended briefing, that already gave some initial ideas for optimisations, we started to adjust the configuration of the machine for better work flow and access. 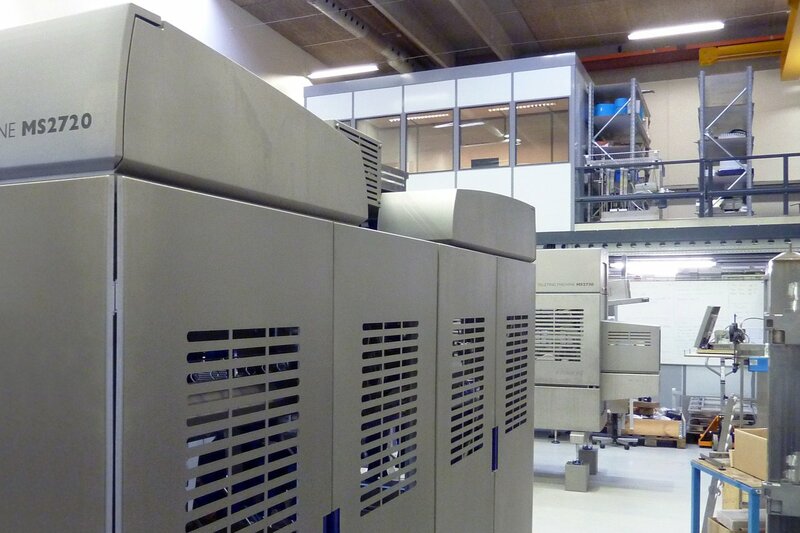 Another goal of this phase was to find the architectural “grip” that would make the machine look logical and that would make it fit to the other Marel machines. 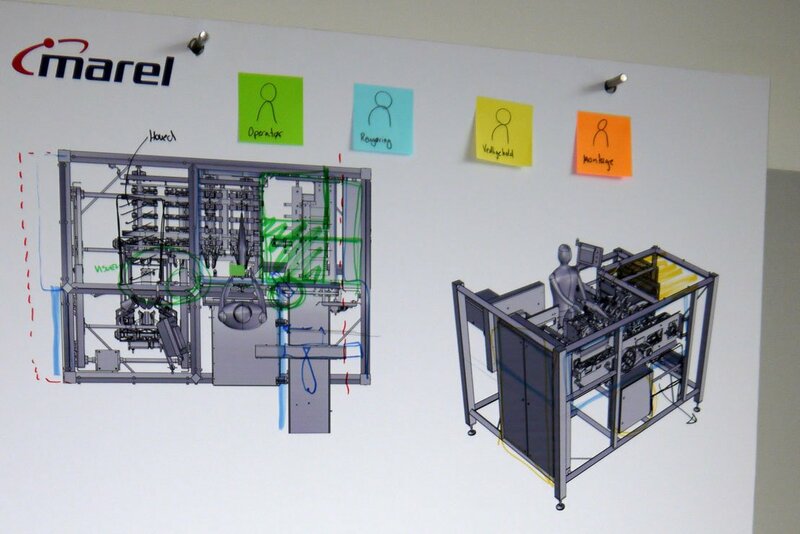 Once the design architecture was defined, we optimised the user interaction and accessability – optimising production aspects in a close dialogue with Marel’s engineering team and we cared for the form details that create similarities to other Marel salmon processing equipment. The close collaboration between design-people and the Marel team was rewarded with an exeptional positive feedback from the prospective buyers and users, when the new deheader was launched at the annual Salmon show in Copenhagen 2017. The operator screen interface for the new Marel salmon deheader is based on the Marel user interaction design guide, that design-people has contributed to earlier. The screen interaction design has been improved to a degree, that reduced the customers use of Marel’s support hotline significantly.